The Cookie Monster going crazy with cookies with this custom. As we all know, the Internet can be a difficult place. Between the Russian trolls and the haters, to name a few things, sometimes it's not a pleasure to get in and see what's happening. 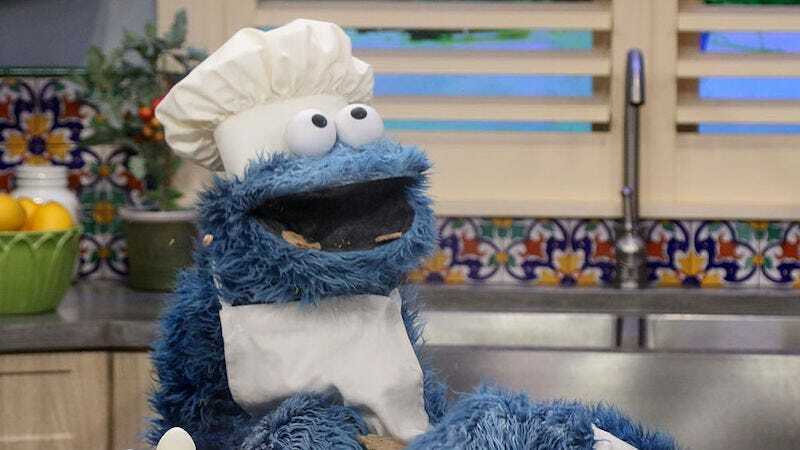 However, this week for a few moments, a corner of the Internet became a wonderful place when he received a visit from the real Cookie Monster. The Monster decided to do an AMA (Ask Me Anything) on ​​Reddit, or a thread in which anyone can ask the character something. I was advertising for a contest to raise money for the Yellow Feather Fund, an initiative that helps vulnerable children. The winner of the contest, which has already closed, can go with a friend to the set of Sesame Street to eat cookies with the Monster. To confirm that it was him, the Monster put a link to his official Twitter in which he announced that he would perform an AMA. It is clear that the Monster does not just think of cookies! Below are some of the questions the fans asked the monster and his answers. Question: How big is your cookie collection? Answer: Not too big. I constantly have trouble eating my collection! Answer: I keep away from anything in the Oscar bin. Apart from that, I do not be too demanding. Question: What is the best way to get the crumbs out of your hair? Answer: I usually like them later. Question: What are you talking about in Sesame Street these days? Answer: We celebrate the fiftieth anniversary of Sesame Street! I can not wait to celebrate with you! Maybe even share cookie with you. Also, Oscar is still a grump. Question: Many famous people have gone to visit you and your friends in Sesame Street. Did any of these guests give you a cookie? Answer: Friends have surprised me with many cookies! Sir Ian McKellan even gave me two cookies! Question: Do you like Kermit the frog? (Also known as the Gustavo Frog in Spain and the René Frog in Latin America). Answer: Clear! We have known each other for a long time. I hope we can meet to play soon. Question: What is the optimum number of chocolate chips for a cookie? Answer: I always say that the more the better. I think that I need at least 3.14 chocolate chips per cookie. In the end, the Monster's AMA received more than 5,000 comments, although not all were questions. Many of the people who participated in the AMA stated that they were happy that the Monster was doing this. In general, it is a thread full of love and joy, and there is no doubt that it will make you smile if you are having a bad day.